In 2018, Lucy McBath shocked many when she was elected to represent Georgia’s 6th congressional district as a Democratic candidate. The district has been under the control of the Republican Party for a long time. However, the revolution did not completely start with her but with Jon Ossoff who was able to give Republican Karen Handel a good fight by pulling up to 48.22% in the 2017 special election compared to the 38.3% Rodney Stooksbury polled against Republican Tom Price’s 61.7% in the previous elections. Beyond being a politician, Jon Ossoff is also a filmmaker who is the writer and producer of various documentaries including Living with Ebola and The Battle for Africa, both in 2014. As pointed out, Ossoff is a politician and documentary filmmaker. He was born Thomas Jonathan Ossoff in Atlanta, Georgia, on February 16, 1987, to Richard Ossoff and Heather Fenton. His father is of Russian-Lithuanian descent and grew up in the States, Massachusetts, while his mother is an Australian immigrant whose father fought in World War II in the Mediterranean. Richard Ossoff (Jon’s father) who studied Government at Franklin & Marshall College in Lancaster and went to Harvard Business School where he got an M.B.A. and Heather Fenton (his mother) who co-founded the NewPower PAC much later, are both politically inclined. It is from them that Jon developed his interest in politics. He was brought up as an only child in Northlake and he got his education from The Paideia School which is a private independent school in Atlanta, Georgia. When he was still in high school, he did his internship with civil rights icon and Georgia congressman for the 5th congressional district, John Lewis. While he was still in Georgetown University’s School of Foreign Service, he took classes of Michael Oren, the former Israeli ambassador to the United States, and Madeleine Albright, the first female United States Secretary of State. He graduated from the college in 2009 with a Bachelor in Science degree before moving to London School of Economics where he graduated from in 2013. He also worked with the representative of Georgia’s fourth congressional district, Rep. Hank Johnson for 5 years. 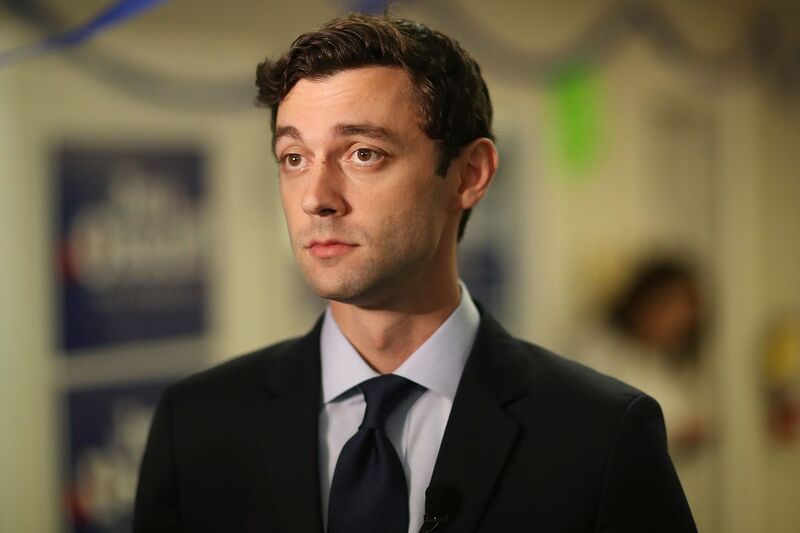 In 2017, after President Donald Trump selected Tom Price to serve as his Health and Human Services Secretary, Georgia’s sixth congressional district became vacant and so, Ossoff decided to give it a shot. In the previous election, Price had won the district convincingly against Democrat Stooksbury. Before then, the last time the position was controlled by a Democrat was from 1965 to 1979 when John J. Flynt represented the district. With the support of major Democrats including John Lewis, Hank Johnson, Stacey Abrams, and Bernie Sanders, he seemed like the one to change that. More so, he got to raise over $23 million in campaign donations. In the subsequent nonpartisan blanket primary that held in April, he got 48.1% of the votes before going on to lose in a tightly contested race to Republican Karen Handel who polled in 51.78% of the votes against his 48.22%. Apart from his involvement in politics, Jon Ossoff is also the CEO of the Emmy-winning investigative production company, Insight TWI. He has been involved in a number of documentary productions such as Deadline: White House (2017), Stacey On The Frontline (2017), Justice! (2015), Africa Investigates (2014 to 2015), and People and Power (2014 to 2015). Is He Gay, Married, Or Does He Have A Girlfriend? Although Jon Ossoff has not come out to speak about his sexual orientation, there are no indications that he is gay. This is mostly as he has been in a very long relationship with his girlfriend, now fiancee, Alisha Kramer. While he was campaigning for the congressional post, one of the main things his opponents used against Ossoff was that he was not residing in the district he hoped to represent. According to him, the reason why he was outside the district was to support his girlfriend who was still an Obstetrics and Gynecology medical student at Emory University. Alisha Kramer and Ossoff met more than 12 years ago when they were both students at Paideia School and from there, they both went to Georgetown University. In 2018, she graduated from the Emory University School of Medicine as a Doctor of Medicine. Alisha works as a volunteer at the Geroge Washington University Hospital Women Center. Already, Jon and Alisha have been engaged so it is expected that they may soon get married.